I think an important element to consider (and probably get expert counsel on) is the taxation treatment. There are undoubtedly other scenarios which might arise. @Nathan: You're right that taxation is an important consideration. However, it's very important to not use it to justify a wildly risky strategy. I doubt that it would make sense to delay exercise for tax reasons if your option holdings are more than double the percentage indicated in the chart. Good story. Happy to see a good discussion on this topic. 1)"If the stock manages to get to $11, the value of the options increases 10-fold." Only the intrinsic value of the option increased by 10-fold. The theoretical value of the option itself may have hardly budged - especially if there are many years remaining before it expires. 2) It is not a good idea to exercise options with lots of time remaining. The time premium (value above intrinsic) can be substantial. The exerciser loses 100% of that time value. Yet, it may seem obvious that the investor must sell (i.e., exercise and sell the shares) some of the options - just to reduce downside risk. However, there are more efficient methods for reducing downside risk - rather than exercising options with considerable time value. One such choice is to buy puts. Another is to sell some stock short. @Mark: The option agreements that I've entered into explicitly forbid buying puts on company stock or selling it short. As I explained in the post, these agreements prevented me from capturing time value in any way other than waiting. My analysis worked out when it makes sense to capture this time value by waiting and when it doesn't. The analysis would be quite different if more choices are available. I understand why you would not be able to short stock or sell calls. But not being able to own puts doesn't feel fair. However, there's not much that can be done about that. @Mark: Anything that smells like betting against the company is a problem. So, puts, writing calls, and shorting are all out. The reason behind this is that the options are supposed to be an incentive to stay with the company and work hard. If you can indirectly sell the options before they vest, or capture the time value before they expire, the incentive evaporates. Mark is correct. 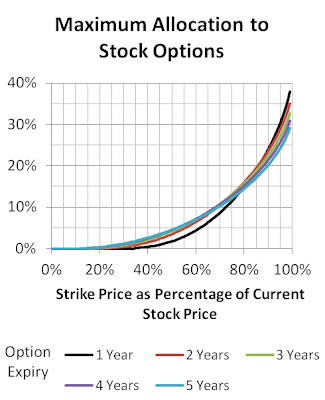 It is very rare that companies have prohibitions against selling calls or buying puts while the employee holds employee stock options be they NQESOs or ISOs. However there are a few that do. I would bet however, that the writer, Mr. James can not name one major company that does. And there are other advantages to selling calls and/or buying puts versus NQESOs and ISOs, one of which is the delay of taxes. Those advisers who promote early exercises are doing the bidding of the company, which get major advantages in the form of recovering the forfeited "time value" and early cash flows from tax credits and the flow from the issuance and sale of new shares. And the advisers get assets under management which he uses to buy mutual funds or some other under performing assets. The advisers promote the idea that early exercises, sale and "diversifying" is the best way to manage granted options. Those advisers are in violation of their fiduciary duties and violate SEC Rule 10b-5, in my view. What relevance is there in whether I can name employers that forbid selling calls or buying puts on company stock? All my employers that have granted me options have forbidden such transactions, so I did an analysis based on such a restriction. If others have no such restriction, they can do a different analysis. In your recommended strategies, how do you deal with the risk that incentive options might be forfeited for some reason leaving the employees holding naked calls? I am forbidden also on calls, puts or shorts of any type. I have many options & RSU's that have been issued to me over the years & also participate in the employee purchase plan. 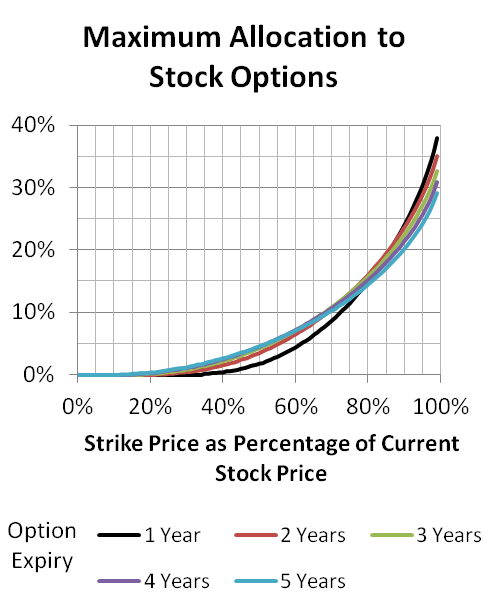 My options get sold when the stock is favorably priced (+30% of option value) and/or they are nearing expiry. Since this is a taxable benefit and about 46% is withheld timing is everything to maximize my return on this "free" money. I choose to cash out and get a USD sent to me from the broker. I then re-invest in US based ETF's or direct stock purchase. Unfortunately, our SARs fell into your category of "more volatile share prices than average." In fact, for the first 3/4 of the time allowed to exercise they were underwater completely! Then as the final months began ticking down, they started to surge ahead, leaving us playing the "should I exercise now or wait one more day" game. We developed a strategy and stuck to it so that we wouldn't be too upset if the share price tanked again unexpectedly. Fortunately, we've always considered options, SARs, RSUs etc as "phantom money." It's never been included in our asset allocation, net worth, or mental planning. So getting even $1 is a bonus. That attitude has made it much easier when the stock involved is highly unpredictable. I question the merit of using these types of "rewards" for employees in a volatile industry. But I know the company likes the fact they don't impact the DB pensions they have to pay out to some of the older employees, which may be part of their il/logic. @Bet Crooks: Treating options and SARs like lottery tickets while they're under water is sensible, but once they move into the money, I don't think it makes sense to hold more of them than the chart indicates. You've got real money sitting there. I listed a number of arguments for holding fewer options than the chart indicates (such as the underlying stock being very volatile), but I know none for holding more. Thinking of any gains as found money or hoping for the underlying to rise are not good reasons to exceed a sensible risk/reward ratio. I agree about not holding a higher percentage than the chart indicates. There was never any danger of that, though, because our real portfolio was so much greater than the value of our SARs that the chart says to keep 30% or less of the portfolio as options, and we were keeping less than 1%. We still wanted to get as many $ for our SARs as we could, though. @Bet Crooks: Sounds like your SARs are just barely in the money.